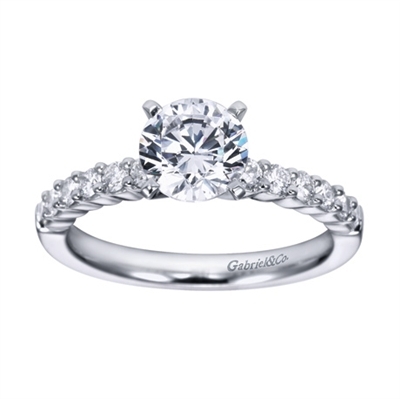 12 wonderfully magnificent round diamonds accompany the center stone in this elegant and refined contemporary straight engagement ring. 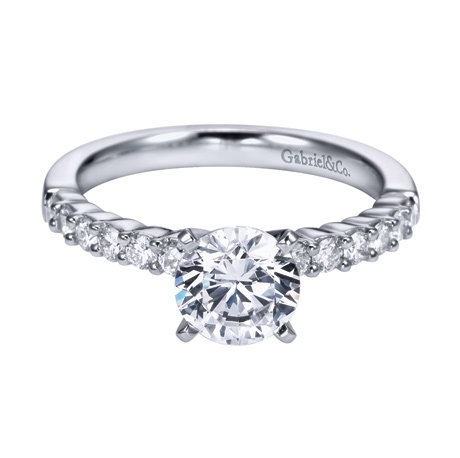 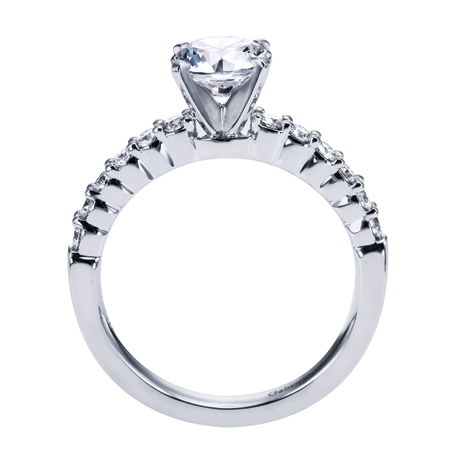 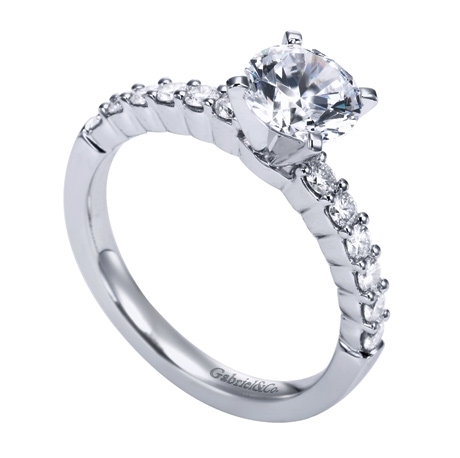 Any center stone would be lucky to share the spotlight with this engagament ring. 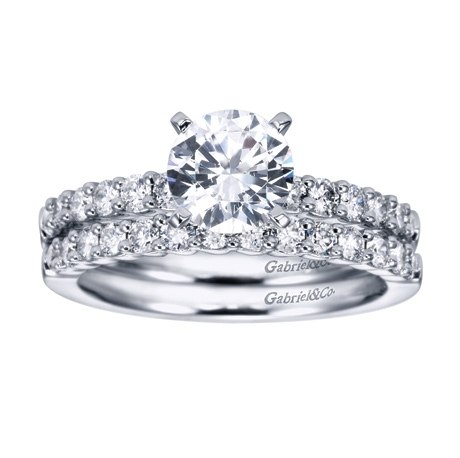 *Center stone is not included. Round brilliant diamonds gracefully weave their way up this contemporary straight engagement ring in white gold or platinum, a perfect compliment to a round center diamond.